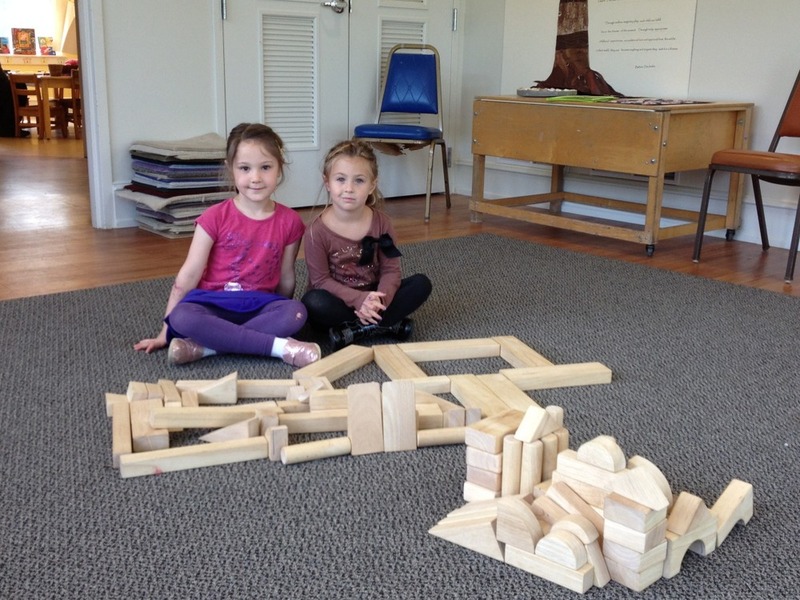 Cora, Grace, Gus, Jonas and Sam had their turn to build with the unit blocks today. They divided themselves into two groups - boys and girls. "The castle has a bedroom for us to sleep in. There is a ballroom and a gate for the horses to go outside. There is another gate for the people to go outside. We made two ballrooms so a lot of people can get in. There are steps to go downstairs." It has a ramp. There is an engine under part of the house. There is a big wall because when it's windy we don't want the wind to blow our stuff away. It has a sidewalk so people can walk on it and play on it. Cars go down the ramp."